Since we’ve had this ring in our window display, it has prompted countless inquires! So, we thought we’d blog about it. The stone is a faceted green beryl. 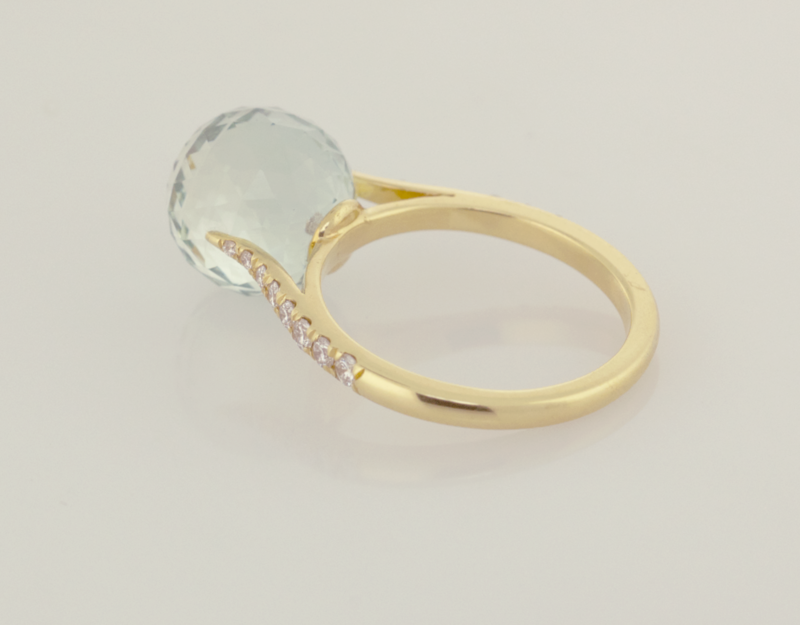 Green beryl is actually the same gemstone material as an aquamarine. The band is made of 18KT yellow gold and has diamond pave (pave is a French term meaning “to pave a surface”) halfway down the shank. 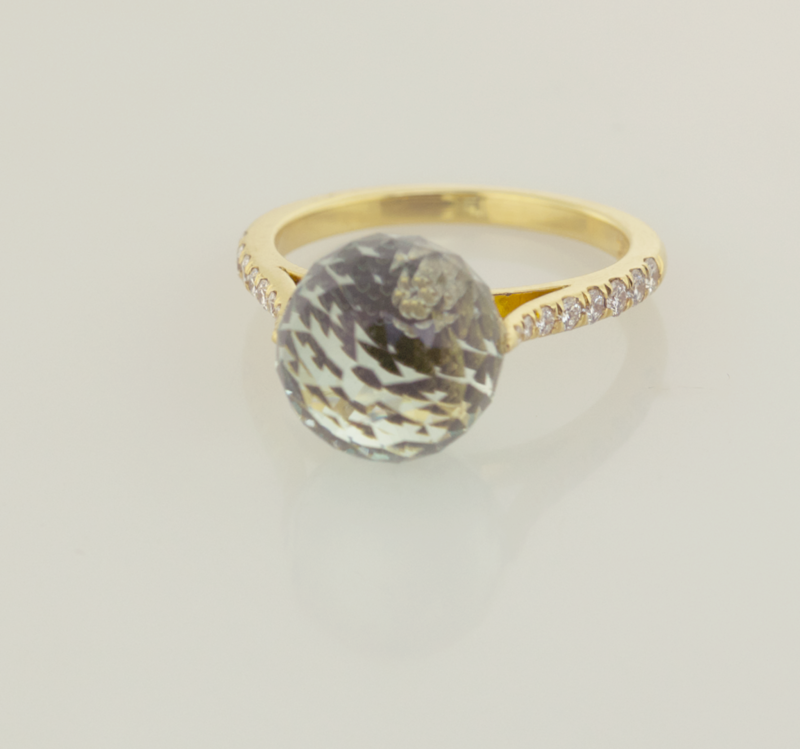 We also have this ring with a citrine and one with a blue topaz. A fun, conversation piece for sure! The rings also looked great stacked.